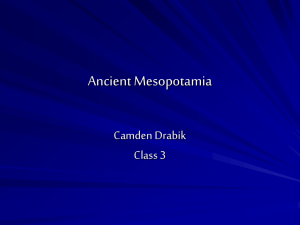 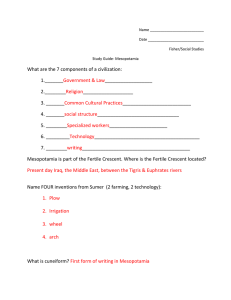 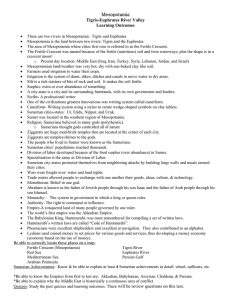 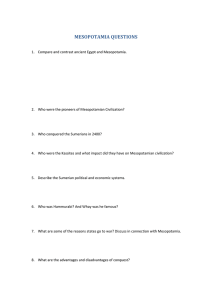 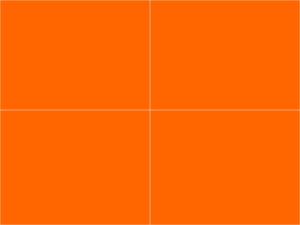 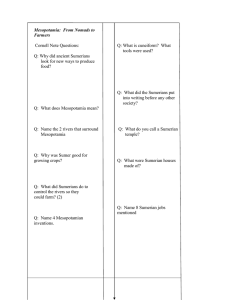 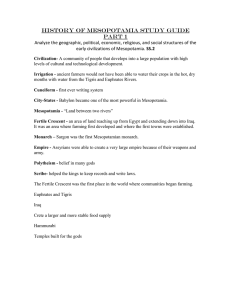 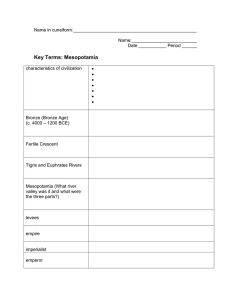 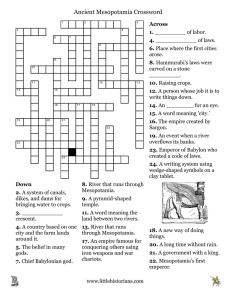 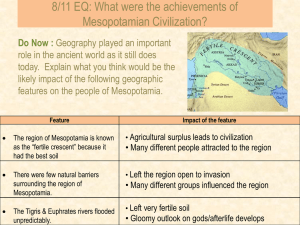 10/3 Aim: What were the achievements of Mesopotamian Civilization? 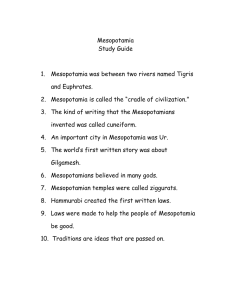 Mesopotamia (/ˌmɛsəpəˈteɪmiə/, from the Ancient Greek: Μεσοποταμία ""[land] between rivers""; Arabic: بلاد الرافدين‎ bilād ar-rāfidayn; Persian: میان‌رودان‎‎ miyān rodān; Syriac: ܒܝܬ ܢܗܪܝܢ Beth Nahrain ""land of rivers"") is a name for the area of the Tigris–Euphrates river system, corresponding to modern-day Iraq, Kuwait, the northeastern section of Syria, as well as parts of southeastern Turkey and of southwestern Iran.Widely considered to be the cradle of civilization by the Western world, Bronze Age Mesopotamia included Sumer and the Akkadian, Babylonian, and Assyrian empires, all native to the territory of modern-day Iraq. 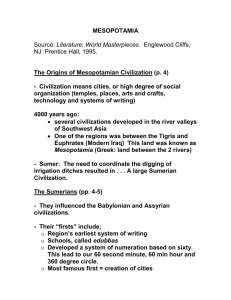 In the Iron Age, it was controlled by the Neo-Assyrian and Neo-Babylonian Empires. 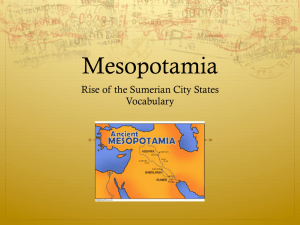 The indigenous Sumerians and Akkadians (including Assyrians and Babylonians) dominated Mesopotamia from the beginning of written history (c. 3100 BC) to the fall of Babylon in 539 BC, when it was conquered by the Achaemenid Empire. 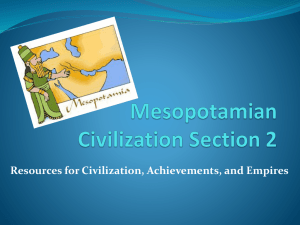 It fell to Alexander the Great in 332 BC, and after his death, it became part of the Greek Seleucid Empire.Around 150 BC, Mesopotamia was under the control of the Parthian Empire. 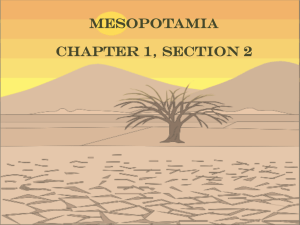 Mesopotamia became a battleground between the Romans and Parthians, with parts of Mesopotamia coming under ephemeral Roman control. 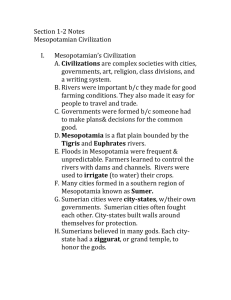 In AD 226, it fell to the Sassanid Persians and remained under Persian rule until the 7th century Muslim conquest of Persia of the Sasanian Empire. 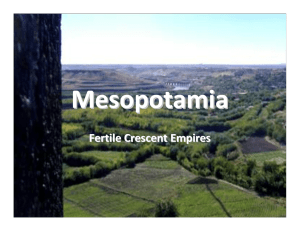 A number of primarily neo-Assyrian and Christian native Mesopotamian states existed between the 1st century BC and 3rd century AD, including Adiabene, Osroene, and Hatra.